Whether you live in a tight city or on a dozen acres, growing fresh herbs in your kitchen is a delightful way to bring nature into your home. Fresh, earthy aromas and quick accessibility to ingredients are of course the biggest advantages, but herb gardens can also add a special touch to your kitchen decor. 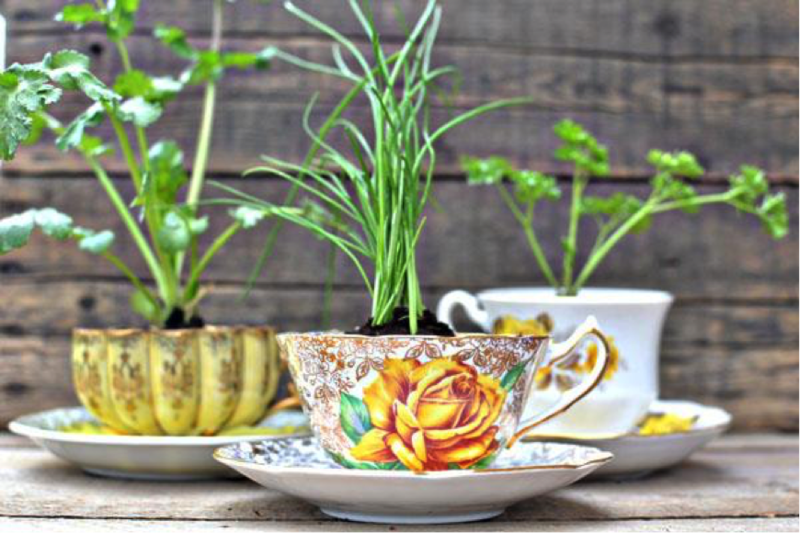 Rather than buying or building new containers for your herbs, look around the house–there are innumerable household objects that can be both functional and fun to look at. A few empty metal tins that once held fancy cookies or coffee grounds can work great as pots. You can even try using coffee cups or teacups. 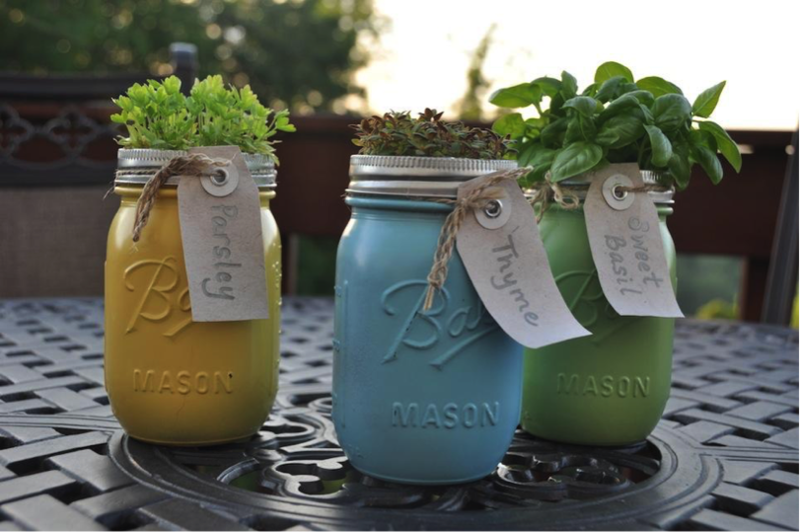 The idea of using mason jars for an herb garden is nothing new, but for a unique twist, paint the jars or add colorful rocks to the bottom. Sometimes you don’t have the space or the materials to get creative with how you display your herbs. 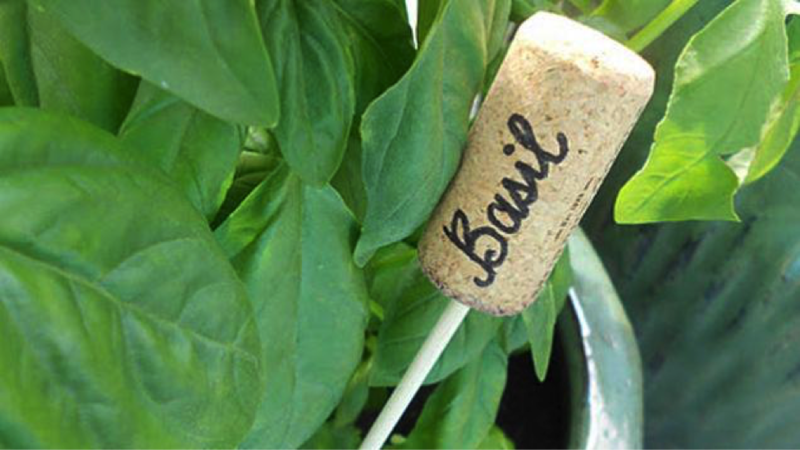 There are other ways to set up an adorable kitchen garden. Use markers as a way to express your creativity and tie your little green corner into the rest of the room, or make it stand out. You can stamp spoons for a vintage look, create markers out of wine corks, or even simply paint popsicle sticks if you’re feeling artsy. 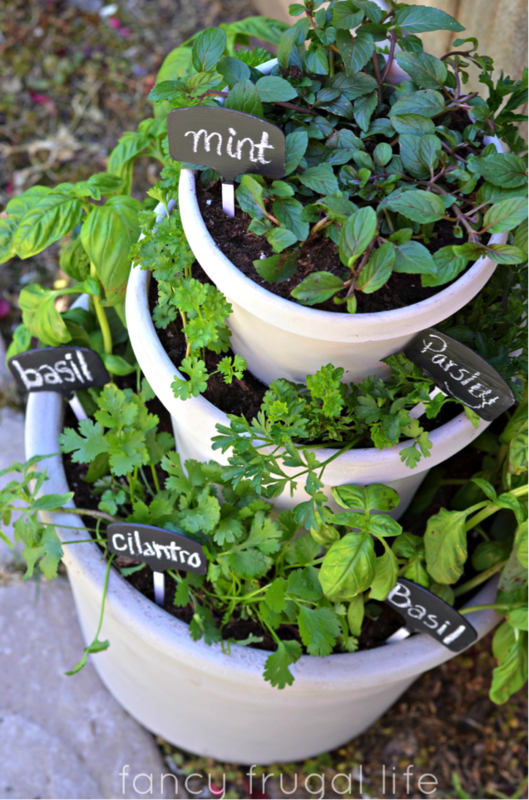 Make the kitchen herb garden into a family project by letting each person or be responsible for an herb of their own. 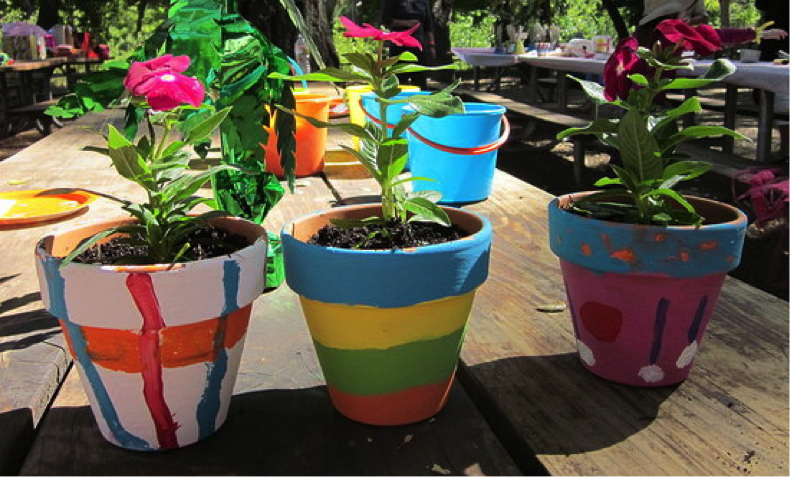 Have your kids decorate their own pots and enlist their help planting their designated herbs. They can then display them proudly in the busiest room of your house, and you get a little help tending the garden. 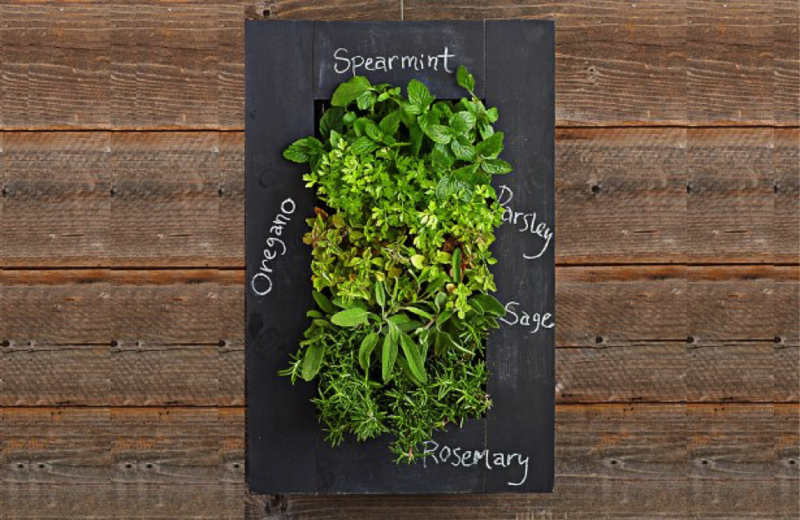 If you don’t have much counter or wall space, a stacked herb garden is a smart space-saving solution. This compact garden easily comprises everything you need without getting in the way. There are also innumerable options for attaching your herb garden to the wall to save horizontal space. You can build shelves, put up hanging planters, create living wall art, or even grab random materials like a pegboard and coffee mugs for the very definition of DIY. Even though kitchen herb gardens are low maintenance, you still need to make sure your herbs get five or six hours of sunlight per day. Research the amount of water each type requires so that you and your family or roommates can enjoy your little kitchen garden to the fullest! I have a black thumb, but the ideas here are so simple and effective, I think even I might be able to give it a go 😛 What about you, lovely readers? 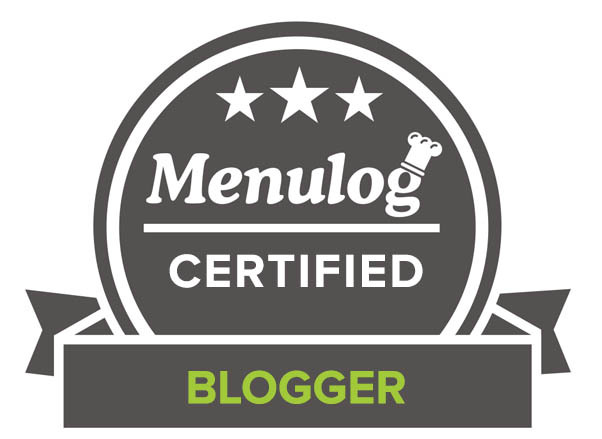 Thanks for writing a great post Kelsey 🙂 To see more of her work, be sure to visit Modernize.com! What fabulous ideas…I just love the tea cups so cute. I grow herbs on my back deck in pots and they are very happy indeed (it’s really hot and humid right now in Toronto). In the winter, I’ve tried growing herbs in pots but it never works out, sadly. Hope to see you around CCU. Aww…sooo cute and charming! Fun and passion in one. Love it!! Love the vertical garden and wall art! Herb gardens are about the only thing I can grow! What fabulous ideas!! I really like the herbs in the cups. I have tons of cups I never use, now I can put them to use. LOVE the living wall art!! 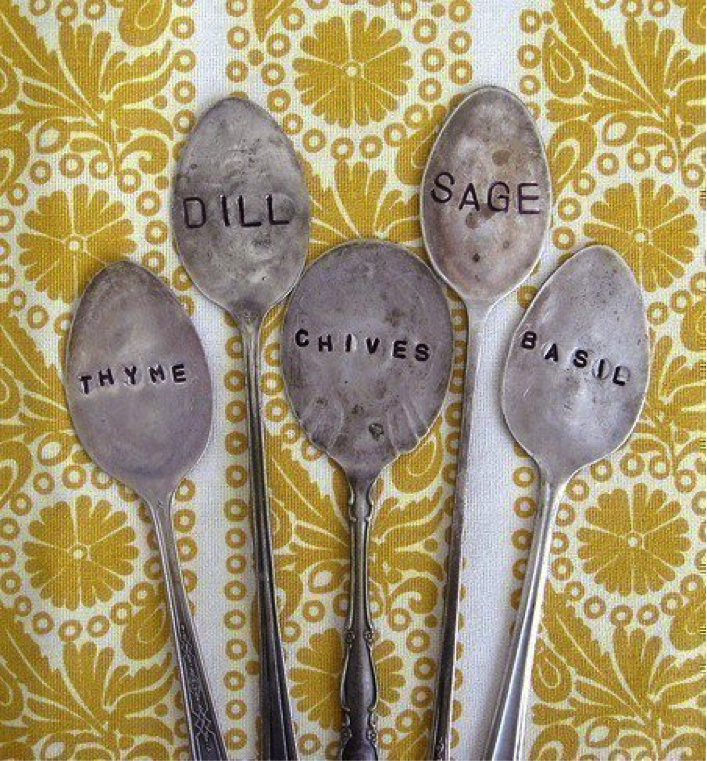 I just use plain old pots–your containers are so cute. I just finished telling mom that we really must get back into our gardening, more specifically, our herb garden, nothing nicer than having access to herbs, especially those you have grown. Love the hanging cups and the coloured pots. I have a bunch of those I can actually fancy up now. Thanks for the inspiration lady. Hope you are well. I miss your face over on the blog. Should definitely get organised and start a herb garden! That’s a wonderful way to bring nature in your home. Super-cool ideas! I love fresh herbs. Great ideas and great guest post! These are so clever! 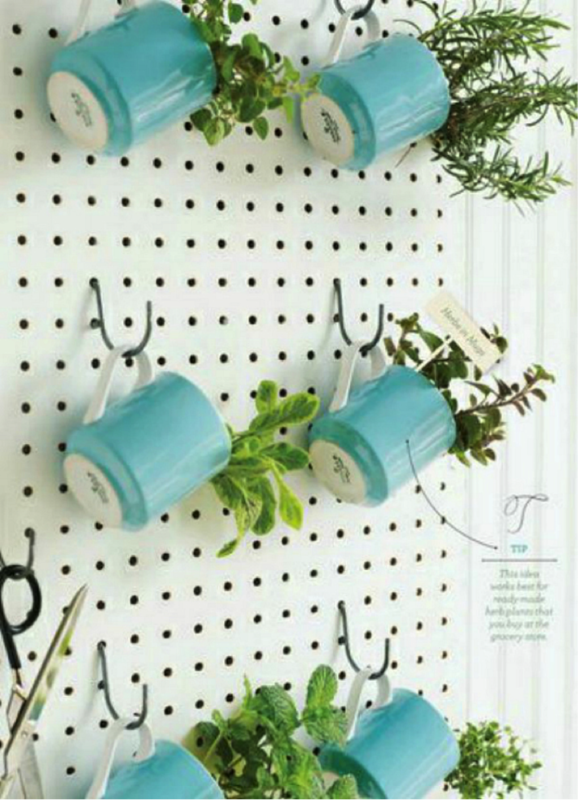 I think I’ll build my own kitchen herb garden! FAAAAAAAAAAAAntastic Garden. CREATIVE and Lovely. Such awesome ideas. I love the teacups and mugs. Waiting with baited breathe for your news CCU! Those tea cup planters are my favourites! !